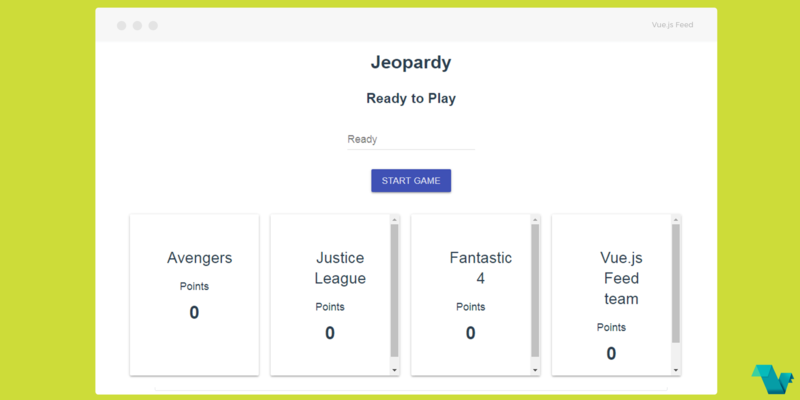 Take a quiz in the style of the popular "Jeopardy" show, with the jeopardy app, a Vue.js powered project. Currently, there is no live demo page, so you will have to download the project and run it locally to see it in action. After the download process is complete run yarn or npm install to install dependencies and npm run dev to see it live. In this small app, you are welcomed by a screen which asks to register 4 teams so the game can begin. Teams take turns choosing the amount they would like to win and they have to answer a question based on the category they chose. 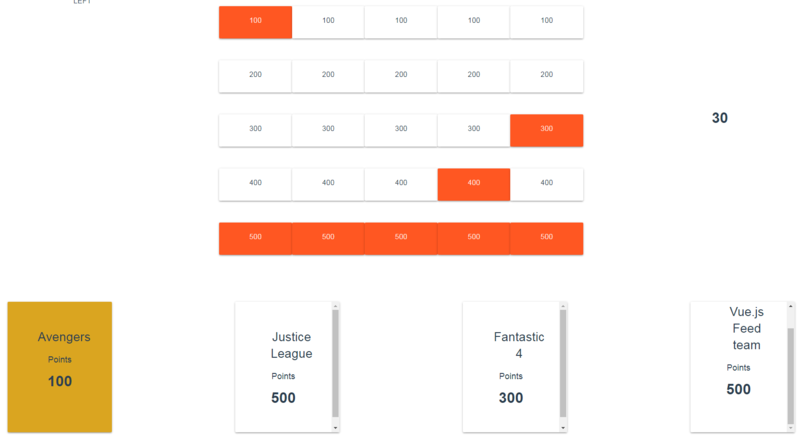 Total scores of each team are displayed at the bottom of the page. 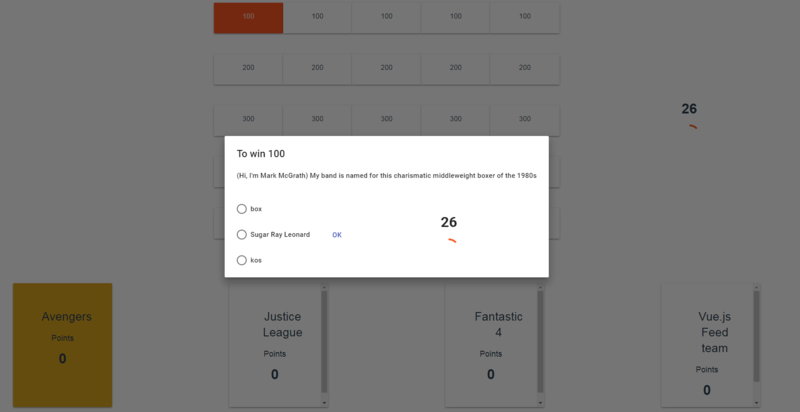 The game ends when all questions are answered (although you may find some questions not complete - this is just an app). You can download the app and take a look at the source code on the project's repository on GitHub.